The Merck Foundation is the Philanthropic arm of Merck KGaA Germany. It is a non-profit organization that aims to improve the health and wellbeing of people and advance their lives through science and technology. Our efforts are primarily focused on improving access to innovative healthcare solutions in under-served communities, building healthcare and scientific research capacity and empowering people in STEM* with a special focus on women and youth. Merck Foundation partners with Egypt’s National Cancer Institute. 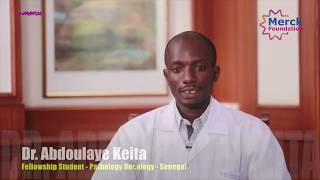 Merck Foundation makes history with Oncology Fellowship for African Countries. “No to infertility Stigma “was the theme of the “Merck more than a Mother” mistrial panel. « Non à la stigmatisation liée à l'infertilité » était le thème du panel ministériel de « Merck more than a Mother ». a platform of African First Ladies and “Merck More Than a Mother” Ambassadors to define strategy, break the stigma of infertility and to empower women in Africa. Burundi Head of State receives Merck Foundation President. 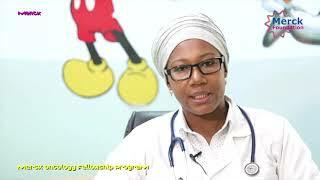 Entries can be submitted till 30th June 2019 more details inside..
"I am very proud that 11 African First Ladies have partnered with Merck Foundation and have become the Ambassadors of our unique and historic campaign "Merck more than a Mother" to empower infertile women and eliminate the stigma around infertility in their countries and across Africa. ", said Dr. Rasha Kelej, CEO of Merck Foundation.